Note: Does not apply in Candidate Committee Module. Double click the Add New to add a new independent expenditure as seen below. 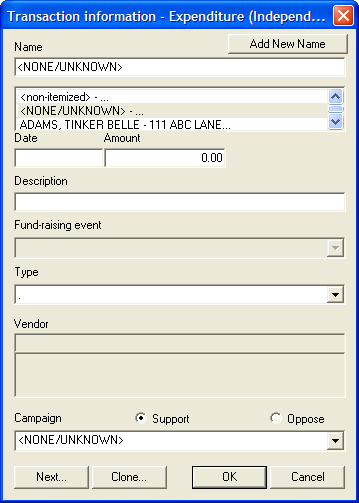 Continue to add the date, amount and description of the expense made. 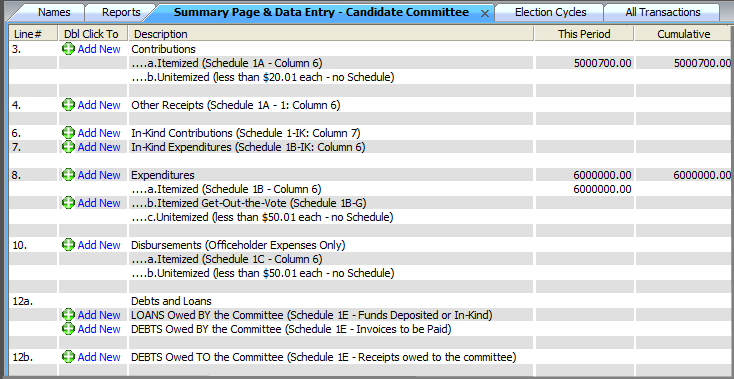 Once a expense is reported to a Candidate Committee or Ballot Question Committee their Campaign information is also required.